N-acetylcysteine, or NAC, is the supplement form of the amino acid cysteine, which converts to glutathione, a powerful antioxidant. Supplemental NAC has been purported to treat a number of conditions. It appears to help relieve symptoms associated with respiratory disorders, particularly chronic bronchitis, and drug toxicity. Other purported uses have less backing behind them and require more research, including the treatment of cancer, HIV/AIDS, cataracts and macular degeneration and addiction. Some dosage guidelines exist based on clinical research, but you should consult with your doctor about the appropriate dose for your needs and how long to take it. The University of Michigan Health System notes the following daily doses were used in clinical trials evaluating NAC for various conditions: Bronchitis, 400 mg to 600 mg; chronic obstructive pulmonary disease, 200 mg three times a day; angina, 600 mg three times a day; gastritis, 1,000 mg; HIV/AIDS, 800 mg.
NAC’s antioxidant activities might help to contribute to overall health by reducing the cell damage that sets the stage for a host of diseases. The University of Maryland Medical Center suggests starting with 500 mg daily and slowly increasing with your doctor’s supervision. It reports doses higher than 7,000 mg could cause toxicity. 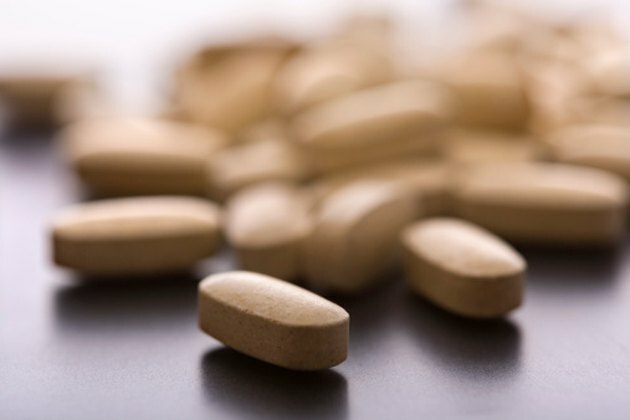 The Beth Israel Deaconess Medical Center notes prolonged supplementation with NAC could decrease your levels of trace minerals, but that research looking at this action suggests this effect is minimal. If you plan on using NAC long-term, however, consider taking a standard multivitamin and mineral supplement. Beth Israel reports NAC appears to be a generally safe supplement, but like any drug or supplement, side effects are a possibility in some people. Reported side effects include gastrointestinal upset, diarrhea, nausea, rash, vomiting and fatigue. The Memorial Sloan Kettering Cancer Center notes that there have been case reports of low blood pressure, anaphylaxis, asthma attacks and headache. The University of Maryland Medical Center notes that supplementation could raise levels of homocysteine, an amino acid linked with a potentially increased risk of heart disease when present in high amounts. It recommends having your doctor monitor your levels while using NAC. NAC supplementation might increase the side effects associated with nitroglycerin and isosorbide, two medications commonly used to treat angina. Using NAC at the same time as the hypertension drugs ACE-inhibitors might cause blood pressure to drop too low. It might also strengthen the actions of immunosuppressant drugs too much. How Much L-Glutamine Should Women Take?